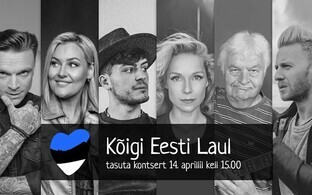 A recent social media initiative called Kõigi Eesti has seen a blossoming of the movement's logo, appearing on individual social media accounts. Kõigi Eesti, literally ''Everyone's Estonia'', also has a Twitter hashtag, rendered into English as ''My Estonia too'', and into Russian as well. However, it is its logo, an outline of a white heart, used as a sticker on individual Facebook profile pictures, which has raised most awareness, according to a report on ETV's Aktuaalne kaamera current affairs show on Tuesday. Entrepreneur Indrek Kasela, one of the founder members of the movement, told Aktaalne kaamera that the initiative was not intended to be confined simply to social media, but primarily to remind politicians that voters have voted for their everyday activities. When questioned on the timing of Kõigi Eesti and whether it was directed at the Conservative People's Party of Estonia (EKRE), Mr Kasela said it was not as straightforward as that. ''It's not simply black and white, just as EKRE is not simply [MPs] Jaak Madison or Martin Helme. I think that they too are a minority in their own party. Politicians have to understand that their actions and words have consequences. This isn't a free-for-all forum,'' Mr Kasela said. Martin Helme faced criticism earlier in the week for comments on gynaecologists and other doctors in Estonia, and their role in non-medically induced abortions, remarks which President Kersti Kaljulaid rejected as unacceptable. EKRE's Jaak Madison, also updated his profile photo, the report said, though not to include Kõigi Eesti's logo, instead using a picture of a swallow (Estonia's national bird). He also called for less hate, according to the Aktuaalne kaamera report. ''This is just an intentional puffing up. 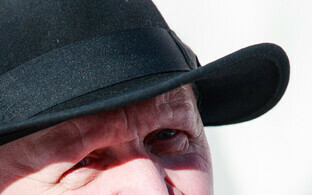 People demonstrate what's on their minds at the ballot boxes and not via symbols on their profile photos,'' he said. ''It is a substitute or consolation for those who do not accept reality. As when Trump came to power – there were people crying in the streets of New York, but nothing crazy happened, and life went on,'' Mr Madison added. 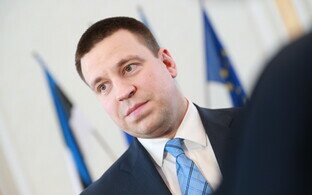 Indrek Kasela noted that he believed Jaak Madison was angling for a European Parliament spot – the European elections take place in late May – as it will be more conducive to the party than the Riigikogu. ''This is irresponsible,'' Mr Kasela said. ''This is also a problem in EKRE – they have these people like Jaak Madison, who have disdain for everyone else,'' he went on. Mr Madison also said that: ''I think that life will go on and they will also have to agree that democracy is not always amenable to everyone, all the time. We accepted it as fact in 2015 [ie. at the last elections-ed.] that Reform, SDE and Isamaa were in office. As with today, there are such hopes that another government might come into being''. EKRE won seven seats at the 2015 general election, but nearly tripled that figure to 19 at the 3 March election this year. The party has been invovled in a tripartite coalition discussion with Centre, which came in second place with 26 seats, and Isamaa (12 seats) for approaching two weeks. The Reform party, which won 34 seats on 3 March, has not yet been involved in coalition talks with anyone, having been rebuffed by Centre up to now, and having stated its unwillingness to work with EKRE before, during and after the elections. 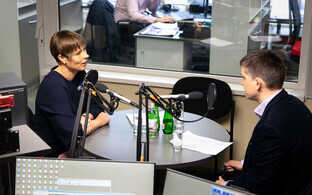 Speaking on the same Aktuaalne kaamera broadcast, literature expert and lecturer Rein Veidemann said he thought that there has been somewhat of an allergic reaction in Estonian society, to recent political developments. ''This allergy is thanks to the conflation of social media with 'ordinary' media,'' Mr Veidemann said. ''The result is hysteria. Society has reacted to in a way that highlights what has long been a scourge in Estonia, namely that it works in an atmosphere of diametrically opposing cultures,'' Mr Veidemann added. 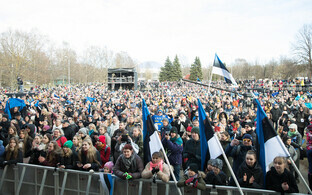 Kõigi Eesti was launched on Sunday, 17 March. 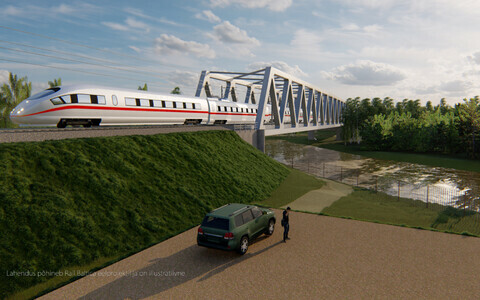 According to one Kõigi Eesti activist, Portuguese national João Rei, the planning had started at a meeting the previous Wednesday. At press time Kõigi Eesti's page had over 26,000 ''likes'' and a similar number of ''followers''. According to the English text on its page, it was launched by a ''... group of concerned Estonian people'', it says, including people from the business and cultural spheres, though counting people of other nationalities in its ranks. The organising group consists of 1,000 people, according to the page, from whom over 20 were drawn to coordinate the page and its imagery etc. It states that it has no affiliation to any political party in Estonia. Around 50 names are listed in connection with the page, including, in addition to Indrek Kasela, academic and polyglot Rein Raud, entrepreneur Karoli Hindriks, actor Mart Ävandi, standup comic Stewart Johnson (US), and journalist Silver Tambur, as well as at least one ERR employee. A page which appeared on 18 March using a similar heart motif and seemingly in opposition to Kõigi Eesti, called Eestlaste Eesti (''Estonians' Estonia'') had at the time of writing a little under 7,000 ''likes''/''followers''. A public march entitled "Yes to Freedom, no to Lies!" is scheduled, according to another Facebook page, for Sunday, March 31 at 12:00 starting at the Viru Gates in Tallinn's Old Town. The event has no direct, reported link with Kõigi Eesti. Yet another Facebook page, also not directly affiliated to Kõigi Eesti, Stenbocki hommikud (''Stenbock mornings'') states that regular protests are to take place outside the Stenbock House, the seat of the Estonian government, every weekday morning at 09.30-10.30, in the week commencing 25 March. Coalition negotiations between the Centre Party, EKRE and Isamaa will enter their third week that week. No coalition agreement has been made, and technically Estonia is still governed by the coalition preceeding the 3 March elections, made up of Centre, Isamaa and the Social Democratic Party (SDE). No figures for the amount of Kõigi Eesti Facebook sticker downloads were available at the time of writing; the page also encourages readers to keep Sunday, 14 April free, without stating for what purpose. The original Aktuaalne kaamera report (in Estonian) is here.